Taiwan Semiconductor have introduced a family of Linear Constant Current Regulated (CCR) LED Drivers, the drivers feature adjustable output currents of 0.1mA to 65mA (TSCR40 series) or 10mA to 300mA (TSCR42 series). The devices integrate the transistor, diodes and resistors into a single device which simplifies the system design by reducing component count and also increases overall reliability. The TSCR4 series CCR LED drivers are available in two versions, High-Side control (TSCR40) or Low-Side control (TSCR42), and are designed for driving low current LEDs with typical currents from 0.1mA to 300mA. 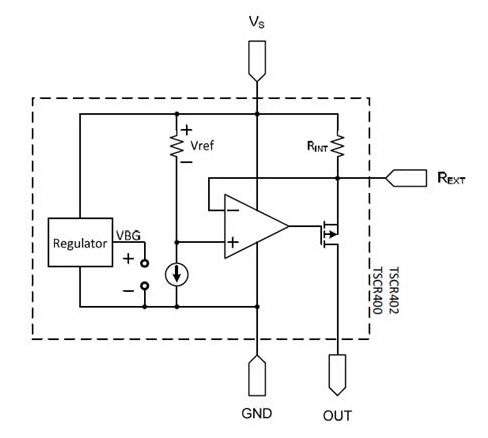 They provide a cost-effective method of driving low current LEDs compared with more complex switching regulator solutions. Furthermore, they reduce the PCB board area of the solution as there is no need for external components like inductors, capacitors and switching diodes. The TSCR40 series are High-Side control CCR LED drivers for linear LED driving, the devices have a pre-set 0.1mA (TSCR400) and 20mA (TSCR402) nominal drive current that can be adjusted with an external resistor up to 65mA. Click here to download the TSCR40 datasheet. The TSCR42 series are Low-Side control CCR LED drivers for linear LED driving, the devices have with a pre-set 10mA nominal drive current that can be adjusted with an external resistor up to 300mA. 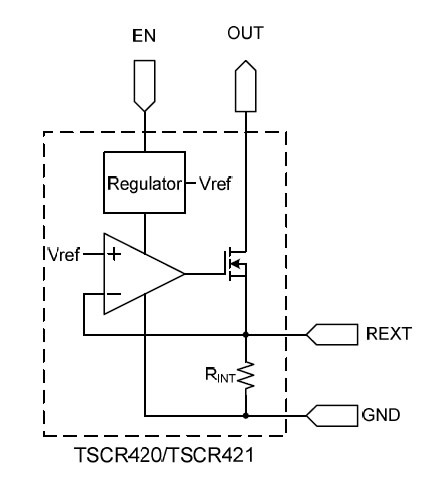 Furthermore with the low-side control, the TSCR421 has an Enable (EN) pin which can be pulse-width modulated (PWM) up to 10kHz by a microcontroller for LED dimming. Click here to download the TSCR42 datasheet. The devices are designed for driving LEDs in strings and will reduce current at increasing temperatures to self-protect. Operating as a series linear CCR for LED string current control, it can be used in multiple applications, as long as the maximum supply voltage to the device is <40V. The devices can also be paralleled to increase output current. The drivers exhibit good temperature coefficient vs. output current as a result of the negative temperature coefficient of - 0.07%/°C of the LED driver. The devices are supplied in a compact SOT-26 package. The TSCR4 LED drivers are suitable for use in a wide range of lighting applications including Automotive Interior, Architectural, Signage, Advertising, Decorative, Retail Lighting, Fridges, Freezer and Vending Machines, Emergency and Exit signs. Click here for more information or to buy from Anglia Live. 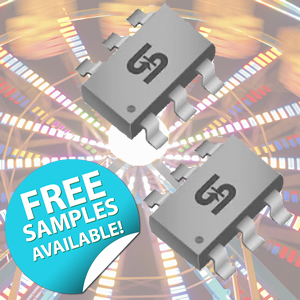 Anglia are offering customers FREE samples of the TSCR4 series of Linear Constant Current Regulated LED Drivers from Taiwan Semiconductor, please fill in the form below to register for your FREE samples now. FREE samples for UK and Ireland customers only, subject to availability.